Teachers don't know how to spell! It's true, at school they teach the R's - reading, riting and rithmetic. Luckily young children don't need to learn how to spell, in fact several studies have shown that if children (particularly children who show a reluctance to learning to read) start to learn later - around the age of 7, then they learn quicker, retain their joy for reading and that it also means their memory and critical thinking skills are more developed, let's face it when you learn to read, you don't need to use your memory as much. That said, reading and writing are obviously useful and can also provide infinite enjoyment in life - with a world of adventure, information and illumination awaiting the reader. We've put links to some website above that help the young reader to learn to read in a fun and lighthearted way. We also recommend Letter Roads, a great way to learn the alphabet with cars. Give your child plenty of access to a range of books, particularly comics and cartoons, as these have illustrations which help the child know what's going on, so making it easier to learn to read. 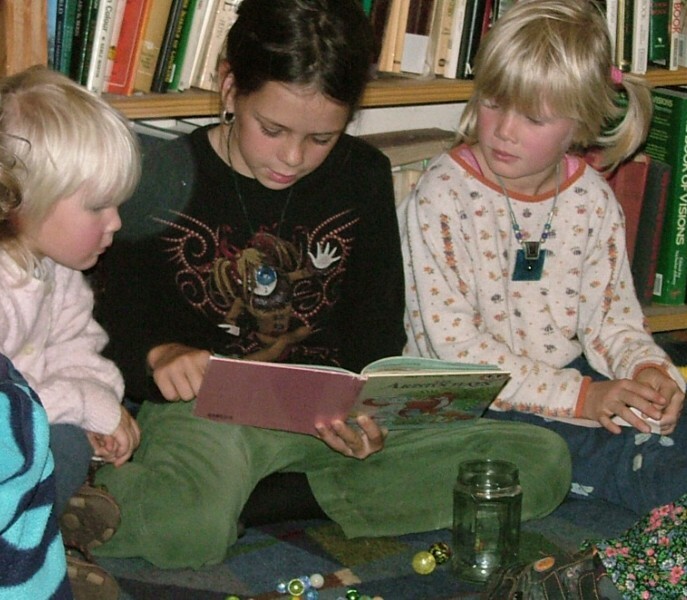 If your child is older when they start to read, they're more likely to be enthusiastic about learning to read books or comics aimed at older kids - trying to get them to focus just on 'The cat sat on the mat' type stories isn't likely to be effective. Children are more likely to want to write things that interest them - at first this could be things like their name, names of other family members (or pets), favourite hobbies, books, characters from books or TV, favourite colo ur, etc. Our boys are getting into swapping and playing Yu-Gi-Oh and Pokemon cards encouraging them to read the details on their cards. Put subtitles on DVD's so that they see the words at the same time as hearing the sounds (this also works well for learning a foreign language - with the sound in English and the subtitles in French, for example (it's also useful to have both the sound and subtitles in French to identify how written words sound). Encourage young children to draw, do dot-to-dots and other similar activities - this helps build their writing muscles. It's best to encourage them to hold their pencil or pen properly as that gives them more control over what they create. If your child struggles consider the possibility that he or she has dyslexia. This is often accompanied by other indicators such as a difficulty in telling left from right and a struggle with organising themselves. Kids often struggle to tell the difference between b and d. My mum had a very useful suggestion for remembering these which is the word bed - the word forms the shape of a bed and tells the child which one'sthe b and which one's the d.
If possible give your children access to the computer and find a touch typing program to teach them to touch type. It will stand them in good stead for the future. You may also be interested in French lessons in Aude - between Quillan and Limoux.